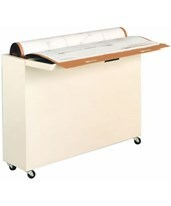 A high-density blueprint storage file, upright blueprint plan file, or vertical plan file is what you need when you have a large number of important documents to preserve. 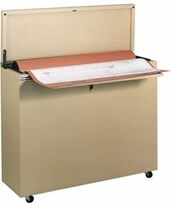 A fireproof or fire resistant high-density blueprint cabinet will keep your documents safe, even from a roaring bonfire. If the worst happens, you want your vertical plan file to be water-resistant, too. 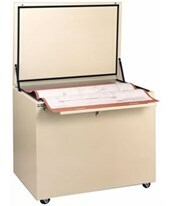 A water-resistant high-density blueprint storage cabinet will keep your documents dry, whether the water comes from sprinklers and fire hoses or just a spilled drink. All the high-density blueprint storage files have locks to protect your files from unauthorized access. Dust and moisture seals help keep your files clean and dry. When you have thousands of large sheets or blueprints to store, but very little space to put them, it's a high-density plan file to the rescue. With high-density blueprint storage, you can store up to 6,000 sheets in a single space only 31½ inches wide. 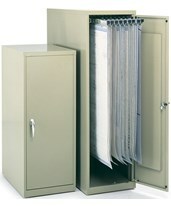 Think you'll never be able to fit a fire resistant or fireproof blueprint cabinet in your cubicle? 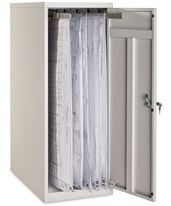 Vertical plan files can give you fire resistant or even fireproof blueprint storage for up to 2,400 sheets in a space less than 15 inches wide! With an upright blueprint plan file, filing is done at a comfortable height. 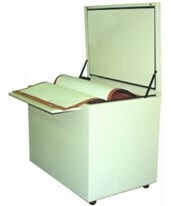 No more bending, stooping or kneeling to retrieve your files. 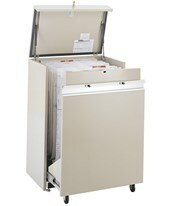 Whether your vertical plan file uses hanging paper clamps, parallel pins, pins, and posts, or spring-compressed compartments to store your files, filing high-density blueprints is fast and easy. 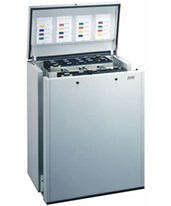 High-density plan files are made of heavy-duty steel in a number of attractive colors, styles, and sizes, with wheels or static bases and top or side openings. Tiger Supplies carries a wide variety of high-density blueprint storage files from such leading manufacturers as Safco and Ulrich Planfiling. We are sure to have the upright blueprint plan file to suit your needs. Up to 30" x 42"
Up to 36" x 56"
Up to 38" x 50"